HAVE WRITTEN THANK YOU notes, like handwritten letters, become an outdated form of expressing gratitude? Weeks have passed since I attended several high school graduation receptions, where I left cards and money for the graduates. I have yet to receive a single handwritten thank you, although all verbally thanked me for coming to their parties. Eventually I expect these notes may arrive in my mail, make that snail mail. Yet I’m not holding my breath. Generally speaking, and I’m not pointing my finger at youth (we’re all guilty), we have become a society lax, or even forgetful, about writing personal thank you notes. Maybe I’m old school, but prompt, from-the-heart gratitude penned on paper shows me that the recipient of my gift truly values my gift. It’s that simple. The words are right there, on paper, to read and reread, to appreciate again and again. Recently, I struck up a conversation with a dad shopping for packaged thank you notes. Typically I don’t see men perusing these cards, which is exactly why I initiated a conversation. He was buying note cards for his son, a recent high school graduate. The new graduate’s mother was insisting her son write thank yous—especially to the two aunts who had just signed a check paying for his first year of college. As the mother of two daughters and one son, I know, though, that boys sometimes need a little extra prodding to write anything. (Sorry, guys, but it’s true.) My now 16-year-old whines and complains, moans and groans, pouts and dawdles every year about writing thank you notes for birthday and Christmas gifts. But I persist, insist and, yes, even demand he write these. Some day he may actually “get it,” that people appreciate the time and effort he’s taken to write personal thanks. I failed to write thank you notes for the wedding gifts my husband and I received in 1982. At the time, a trend of mass-printing thank yous had just begun. Unfortunately I followed that fad. To this day, I regret rolling up those impersonal thank you slips, securing them with a pretty little ribbon and placing them in a basket on the table next to the guestbook. For nearly 30 years I’ve carried the guilt of these unwritten thank you cards. So, to my wedding guests, accept this sincere apology for never properly acknowledging your gifts. But please, please, don’t tell my teenage son about my etiquette error. 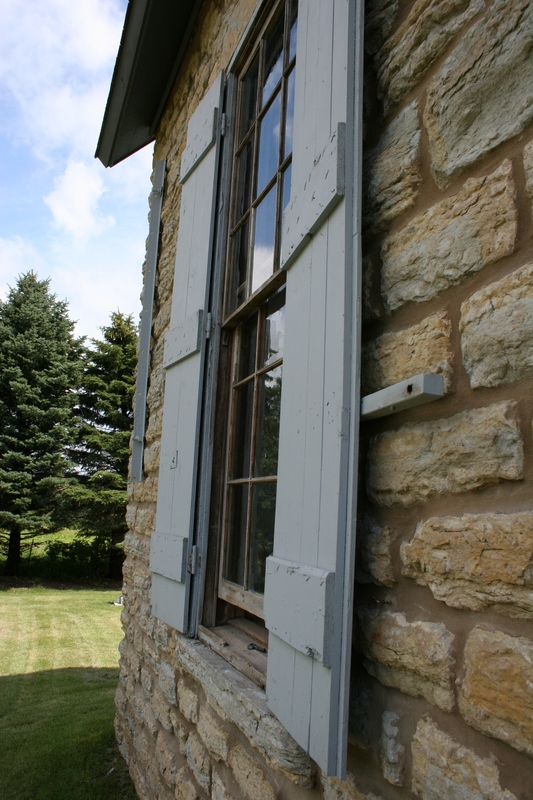 As part of the restoration process, the limestone at the Old Stone Church was tuck-pointed. 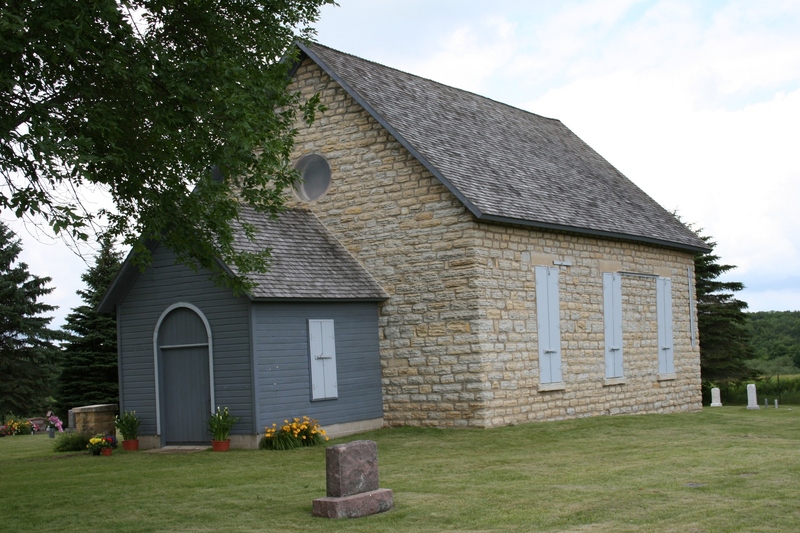 This shows the east side of the 1870s church located along Monkey Valley Road southwest of Kenyon, Minnesota. I CAN’T PINPOINT specifically when old country churches became a passion for me. But sometime in recent years, I realized that these rural houses of worship and their often adjoining cemeteries reflect a history and art worth appreciating and preserving. Such is the Old Stone Church built by Norwegian immigrants near Kenyon in the late 1870s and closed in 1902. A committee of four, whom I met at a Sunday morning worship service, is working tirelessly to preserve this historic church and cemetery for future generations. Already, some $100,000 has been invested in tuck-pointing the native limestone, replastering the interior and more. These people genuinely care about the original gathering place for members of Hauge Free Lutheran Church, which celebrated its 150th anniversary in 2009. 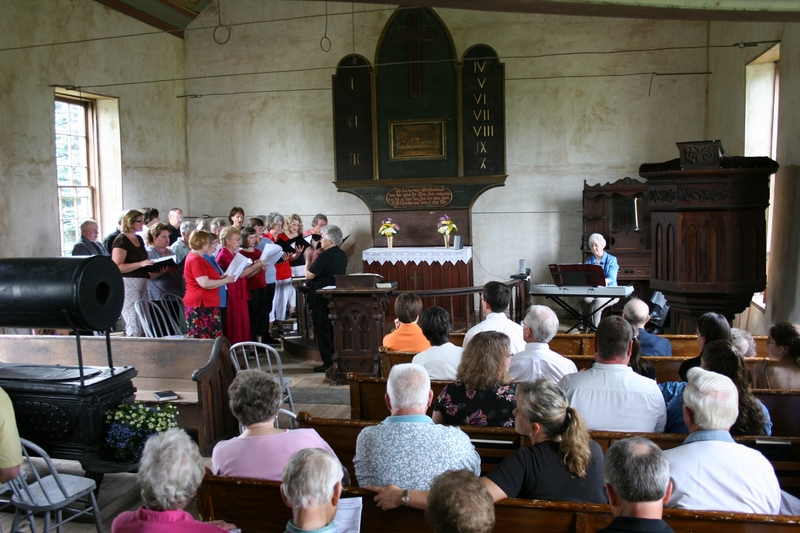 The congregation’s current center of worship stands in Kenyon. “I wanted to see the old Hauge church come back to life,” says Glen Rud, whose Norwegian grandfather walked several miles from town to attend services here. He appreciates the peacefulness of this secluded location in Monkey Valley, where deer and turkeys range. Here, in this place of peace, lies Rud’s burial plot. 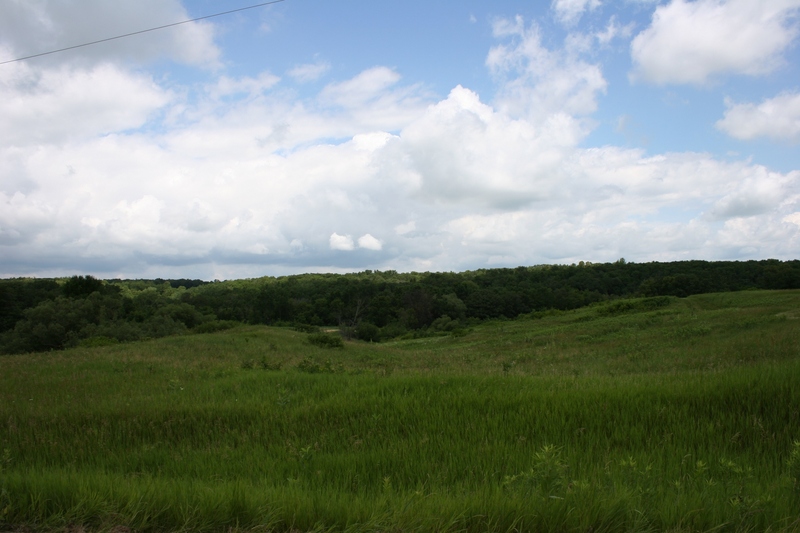 Likewise, preservationist Bob Dyrdahl possesses strong ties to this land. He was born in a nearby log cabin. He’s planted trees around the cemetery and with his sisters donated a historical marker. His daughter was married here two years ago. Such devotion, respect and care for the Old Stone Church impress me. Sunday morning as I join the descendants of Norwegian immigrants (and others) in prayer and song, I feel the kinship of faithful fellowship. 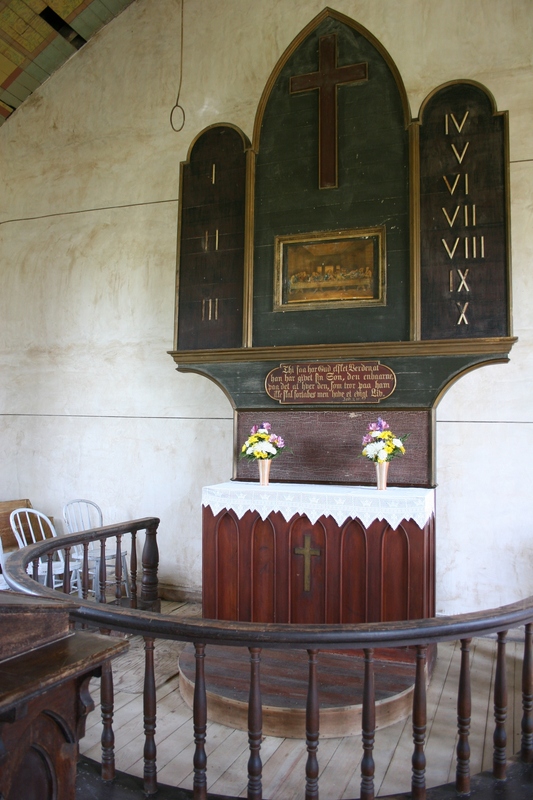 I feel the very presence of those early settlers who sat upon these pews and raised their voices in their mother tongue. Today, more than a century later, this congregation still sings Ja, vi elsker, the Norwegian national anthem, with the conviction of a generation determined to remember their heritage. A view from the balcony shows the choir seated next to the beautiful altar. The choir director speaks in Norwegian, then translates, "Stand up, that means." And all rise for the Norwegian national anthem. This Old Stone Church altar intrigues me because I've never seen one similar. I wonder whether The Last Supper painting at the center of the altar is a cherished possession transported by ship from the homeland. I wonder why replica tablets of the 10 Commandments were chosen for the altar. 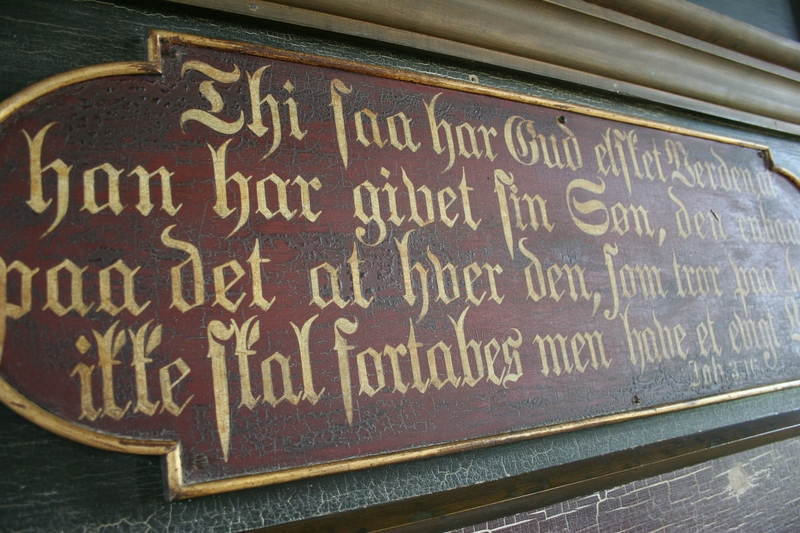 And, finally, I appreciate the inscription of John 3:16 in Norwegian. This photo gives a broad view of the sanctuary. I was seated in the chair to the right side of the balcony support post during worship services. As I take in my surroundings, I notice the knots in the back of the pew before me and the floor patched with a section of wood underneath the sandal of the woman seated next to me. And as my left shoulder brushes against the wooden column, I admire the workmanship and craftsmanship that surrounds me. 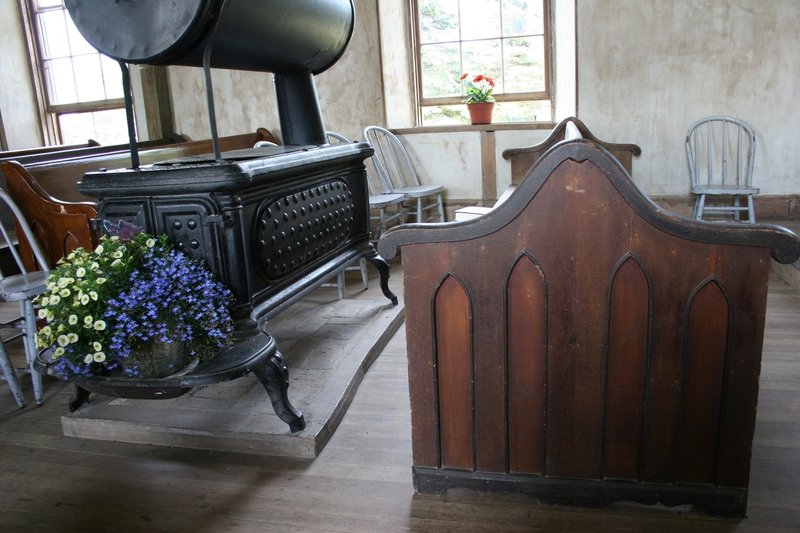 Bob Dyrdahl explains that the double-sided pew provided a place for mothers to sit with their babies next to the warmth of the wood-burning stove. Such concern, such love, for those early pioneer mothers touches me. 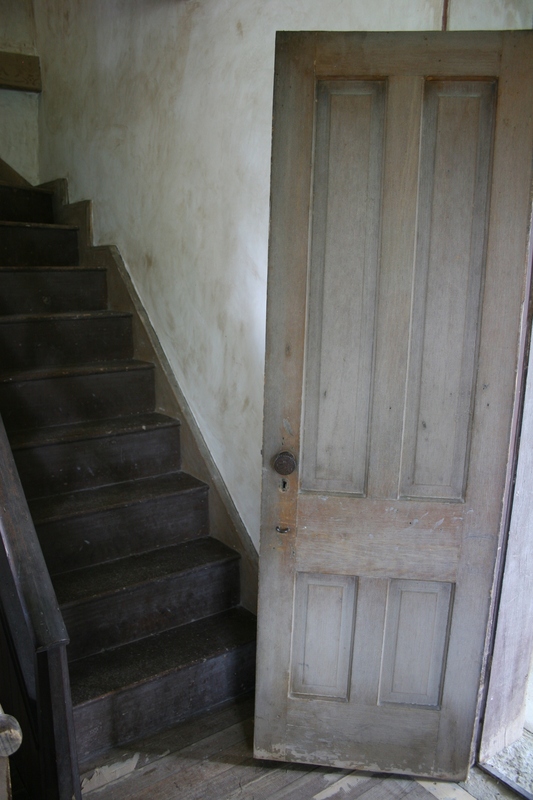 A steep narrow stairway, just inside the church's interior double doors, winds to the balcony. Even here, in this plainness, I can appreciate history and craftsmanship. At the bend in the stairway, is a band of stenciled wood. A print of Hans Nielsen Hauge, a 1700s lay leader and reformist in the Lutheran Church of Norway, hangs in the entry of the Old Stone Church. Immigrants honored this lay preacher by naming their church after him. Calling the baptized in the congregation, who have wandered away from the Lord, back to repentance is a common preaching theme among "the Haugeans," current Pastor Martin Horn says. 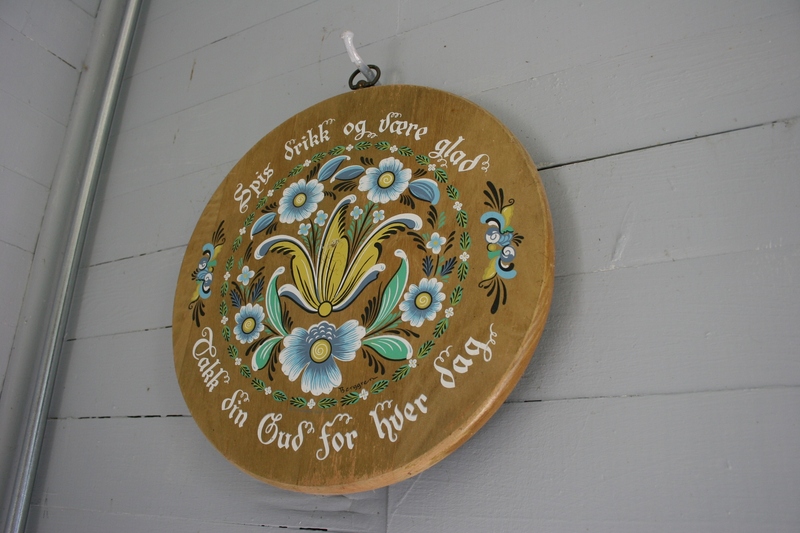 This Norwegian plaque hangs in the Old Stone Church entry. Since I'm German and not Norwegian, I rely on Google translate to tell me this sign basically thanks God for food and drink. Six shuttered windows span two sides of the limestone church. The shutters are thrown open for the once-a-year church service and then battened shut. 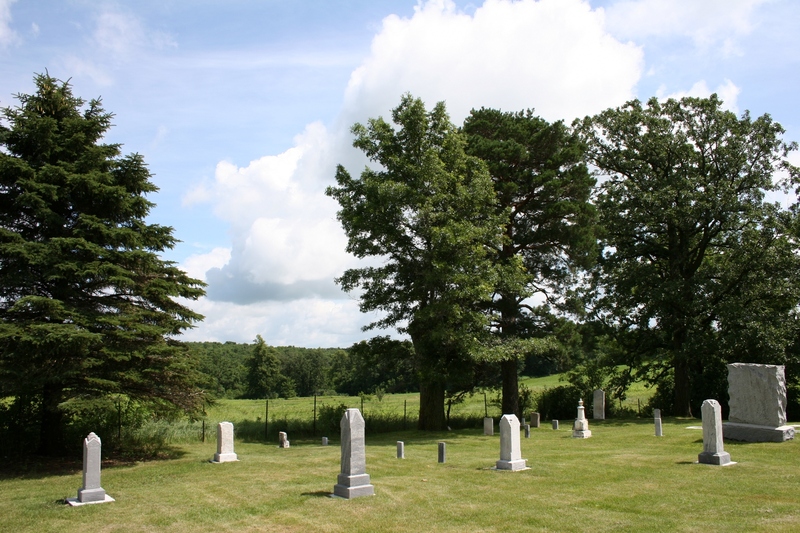 The Old Stone Church cemetery, a final resting place for generations past and for those yet to be buried upon this land in peaceful Monkey Valley near Kenyon, Minnesota. 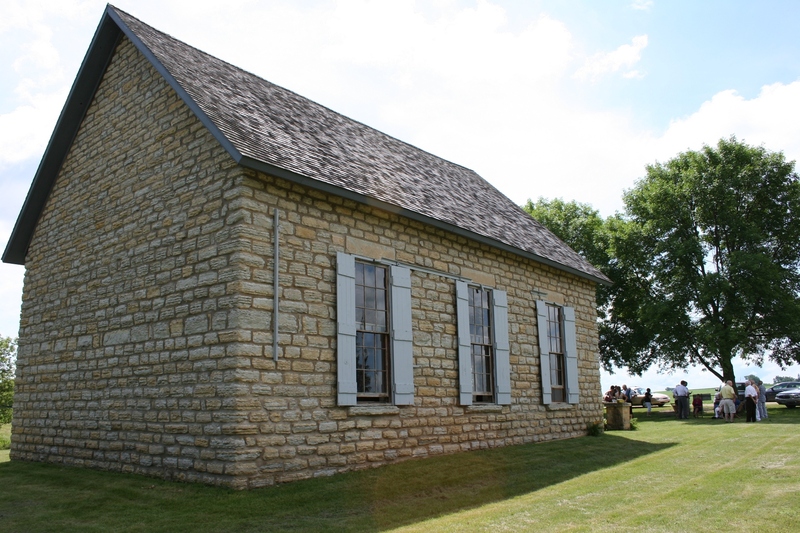 FOR MORE INFORMATION and additional photos of the Old Stone Church, see my June 27 Minnesota Prairie Roots blog post. “Let’s go,” I tell my husband Saturday evening after reading an open invitation in the local newspaper to attend worship services at the Old Stone Church. Pair the adjectives “old” and “stone” with church and I already have one foot in the door. Add “Monkey Valley Road,” and you’ve really piqued my interest. So Sunday morning Randy and I are on our way to Kenyon, where we turn right at the west end of the narrow boulevard lined with roses. We follow the published directions, turning right onto Monkey Valley Road, a gravel road that soon leads us to the Old Stone Church. 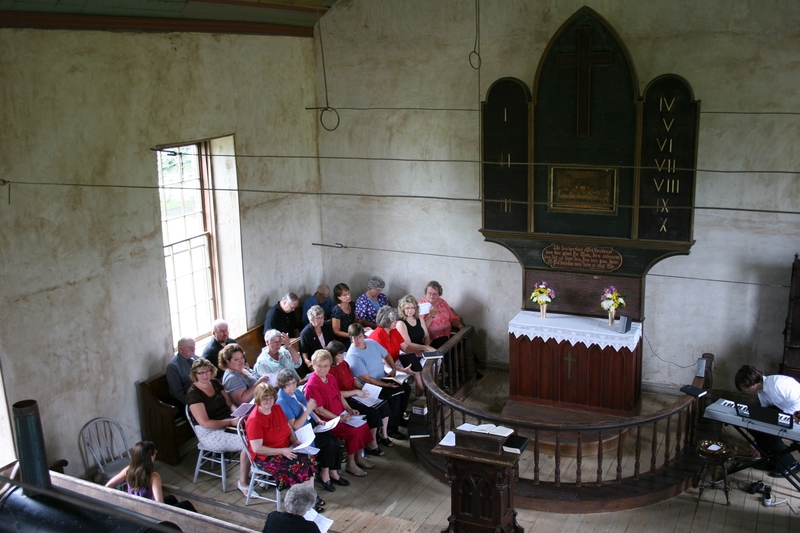 Once a year a worship service is held at the Old Stone Church, built by Norwegian immigrants near Kenyon. I am expecting a church defined, as most country churches are, by a steeple. But, instead, I see before me a simple limestone building that could pass for a schoolhouse. Yet, the plain exterior, minus a steeple, seems perfect for this spot embraced by trees and rolling valleys on two sides and by flat open farm fields on the opposite sides. “How did this place get its name?” I ask a group of men clustered outside the Old Stone Church. Randy and I buy the monkey story, which seems probable given traveling circuses once roamed the countryside. “I have to go,” I say, abruptly ending this monkey business. I hear the strains of my favorite hymn, Beautiful Savior, drifting through the open doors and windows. I don’t want to miss this and I am anxious to get inside the small country church. I’ll later learn that Norwegian immigrants built this structure, beginning in 1872, with limestone cut from a nearby quarry. A historical marker dates the building, which is on the National Register of Historic Places, as 1875. And that steeple I wondered about—apparently the church founders discussed a steeple, but never had the money to erect one. Eventually, those early members moved out of Monkey Valley and, in 1902, Hauge Lutheran congregation built a new church in Kenyon. For years the Old Stone Church stood abandoned. In 1947 restoration began, a process that continues today. All of this written and memorized history interests me, but only to a point. I prefer, instead, to wander, to notice the details, to take in my surroundings, to appreciate for myself the beauty that this church holds. During a service filled with music, the choir and congregation sing in Norwegian, "Ja, vi elsker." The wire rods you see anchored to the walls (running horizontally across the top of the photo) provide structural stability. 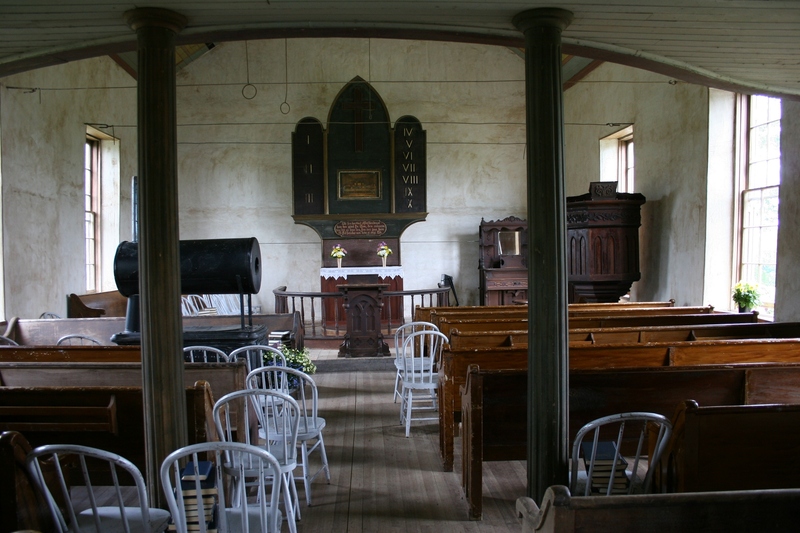 Rugged pews and rustic wood floors remind worshipers of bygone years. 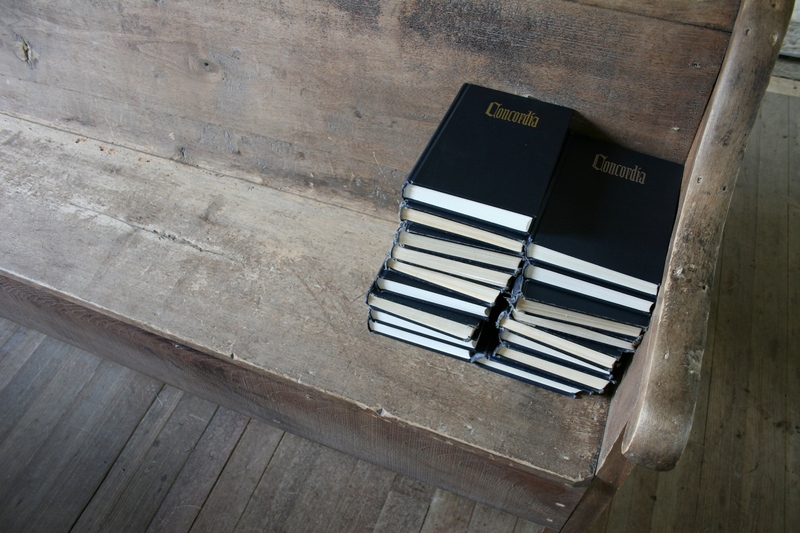 Copies of The Concordia Hymnal, piled on a pew, date to 1967. The hymn books are stashed in covered plastic containers after the service. 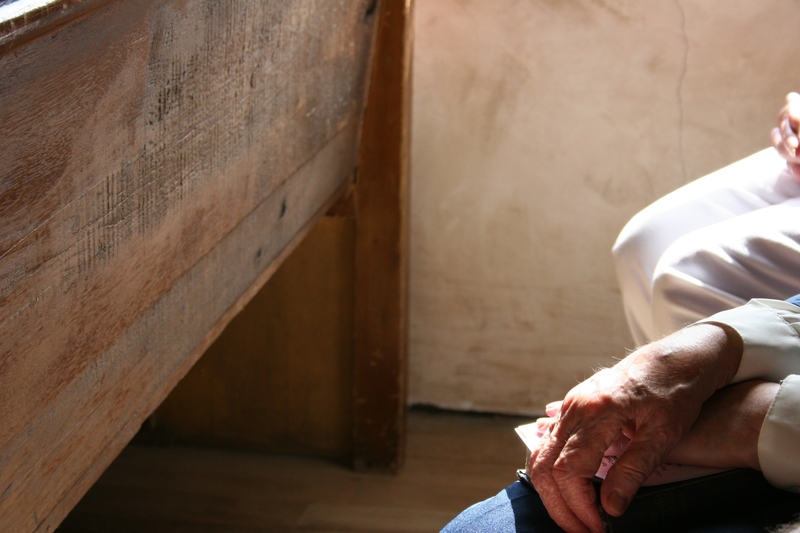 I lean forward and photograph the hands of an elderly woman in quiet meditation. This image, more than any photo I take, captures the essence of the Old Stone Church. For in these folded hands and in the back of the roughly-hewn pew, history and faithfulness meld, encompassing the importance of preserving historic churches. Sitting near the back of the church, I study these words, thinking in German until I remember I am inside a Norwegian church. After the service, I talk with historian and preservationist Bob Dyrdahl. The scriptural quote comes from John 3:16, he tells me. "For God so loved the world that He gave His only begotten Son..." Sure enough, upon closer examination I determine that Bob knows his Norwegian. 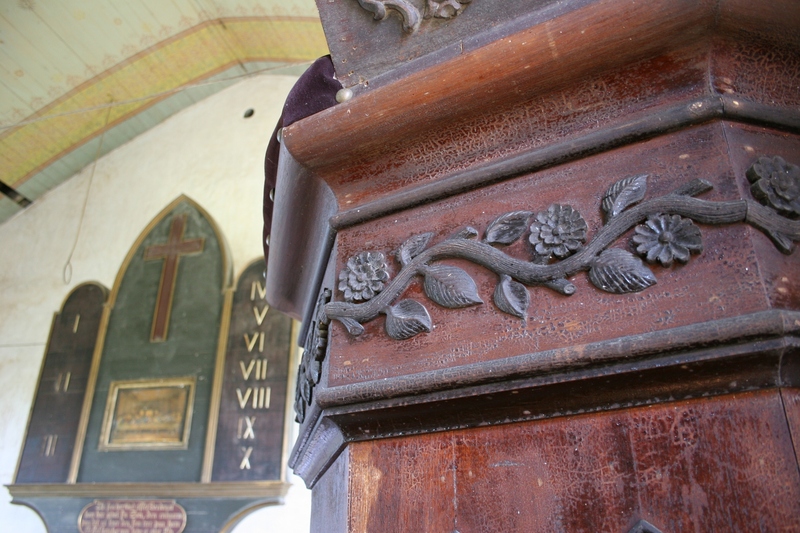 I run my fingers across the flowers on the pulpit and imagine the rough hands of a Norwegian immigrant shaping this wood into a beautiful work of art. In the background is the top of the altar, defined by tablets, signifying the 10 Commandments and centered by a cross and a painting of The Last Supper. 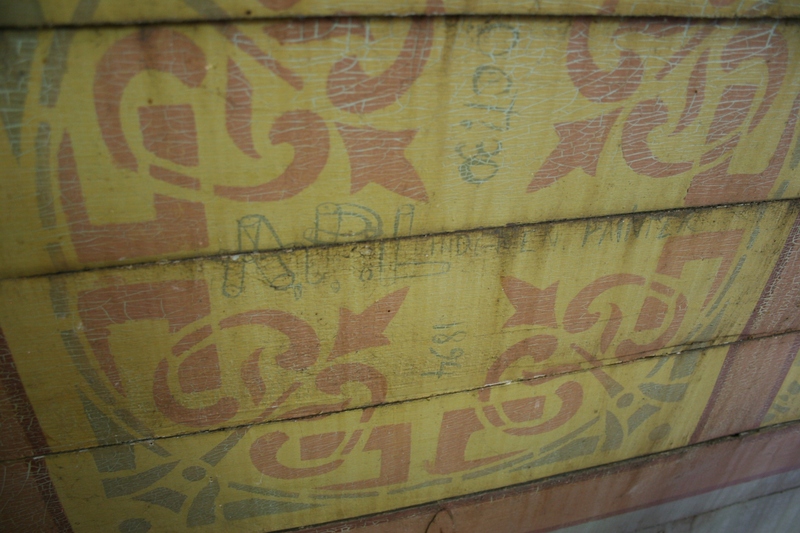 In the balcony, historian Bob Dyrdahl shows me this treasure, the dated (October 30, 1894) signature of A. P. Lindgren who painted stars upon the ceiling and edged it with this stenciled border. His work also graces other sections of the sanctuary, along the stairway, for example. 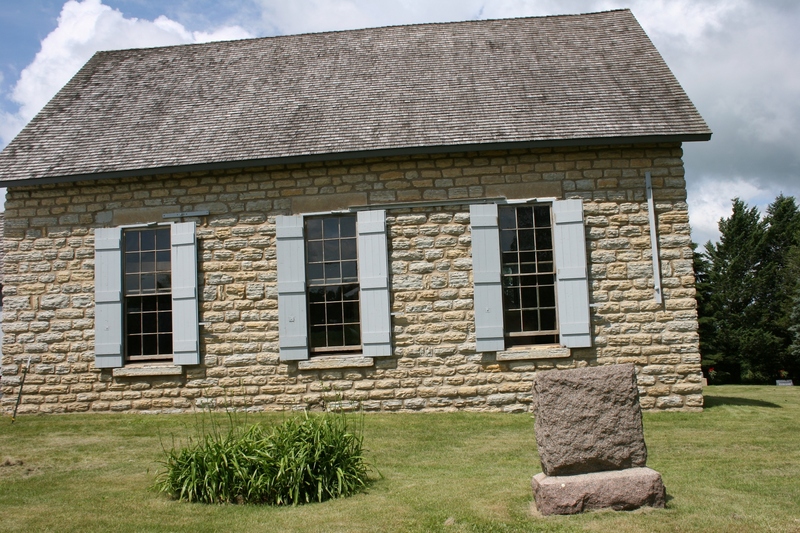 A rear view of the Old Stone Church, a simple structure with three shuttered windows on each side of the building. A stone's throw from the Old Stone Church, a view of Monkey Valley. THIS IS JUST A SAMPLING of the photos I shot at the Old Stone Church. Please check back for additional images to be posted this week on Minnesota Prairie Roots. IF YOU SEE A PINK building, you might think, “Oh, how beautiful” or “Oh, how ugly.” You also probably will wonder “why pink,” somewhat of an odd color choice (especially in Minnesota). Argentina's presidential palace, La Casa Rosada, is painted pink. This is the back of the palace. 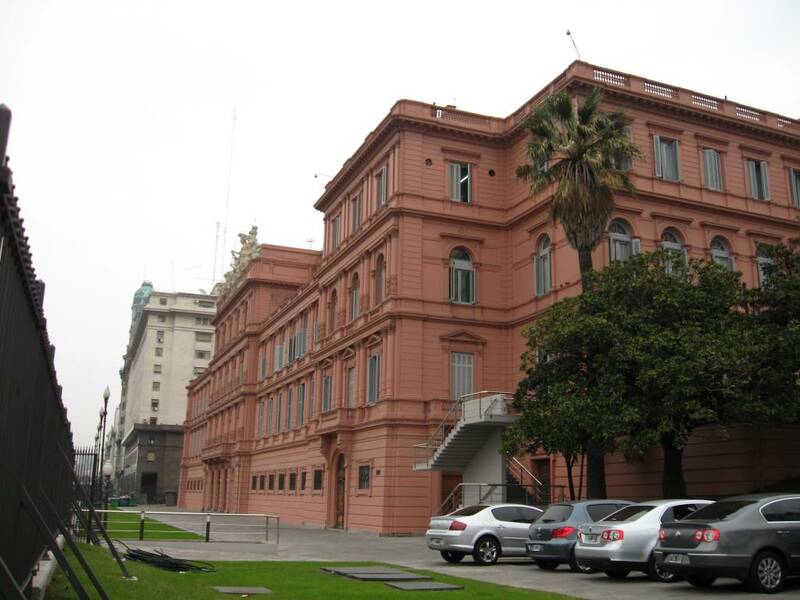 In Argentina, though, the presidential palace is pink. And there is, according to my daughter Miranda who is currently interning with a company that gives walking tours of Buenos Aires, a very good reason. “La Casa Rosada is pink because they used to mix cows’ blood with the clay/rock to preserve the building against humidity,” she tells me after learning this trivia during her first day on the job. “Yuck, gross, disgusting,” I inwardly react and then wonder whether this is fact or urban legend. Additionally, I learn that the pink symbolizes unity between the two main political parties—distinguished by red and white—at the time of palace construction in 1873. Whatever the total truth, the cows’ blood angle has forever changed my perspective on pretty pink palaces. DID YOU REALIZE that Walmart has a wedding department? I didn’t…until last night. While my husband shops for weed killer, I am several aisles away browsing the mish mash of merchandise in the bargain aisle. I am prowling for items that will make suitable game prizes for a family reunion. (Bear with me here; I’m getting to that matrimonial merchandise.) Think humorous here, not necessarily wonderful, prizes. I finger placemats, examine drinking glasses, grab a small bag of plastic compasses. “Do you think these really work?” I ask my husband, who by this time has found the weed killer, walked half way across the store for an ink cartridge and returned to the discount section. “Well, if there weren’t so many, I could probably tell,” he says, flipping the compass package in his palm. He tosses the bag back onto the shelf. I can see he’s getting a bit impatient with me, although I explain that my shopping was stalled by my visit with friends Michelle and Eric, who are also scanning this section. Half-way down the aisle, I spot a jeweled tiara. I pick up the crown which, except for a tiny, missing center “diamond,” will make the perfect pretty prize for the woman who brings the most beautiful bridesmaid’s dress to the reunion. We’re going with a wedding theme at the family gathering. Long story on that, but suffice to say that we are celebrating the 20th wedding anniversary of my cousin Jeff and his fictional northwoods bride, Janet. Jeff’s “marriage,” primarily the announcement of said event on April Fool’s Day 1990, is the stuff of family legends. But I digress. This hefty tiara, which is no cheaply-made, plastic version for some princess’ birthday party, seems quite appropriate for the planned theme. But, as delighted as I am with this find, I encounter one problem. 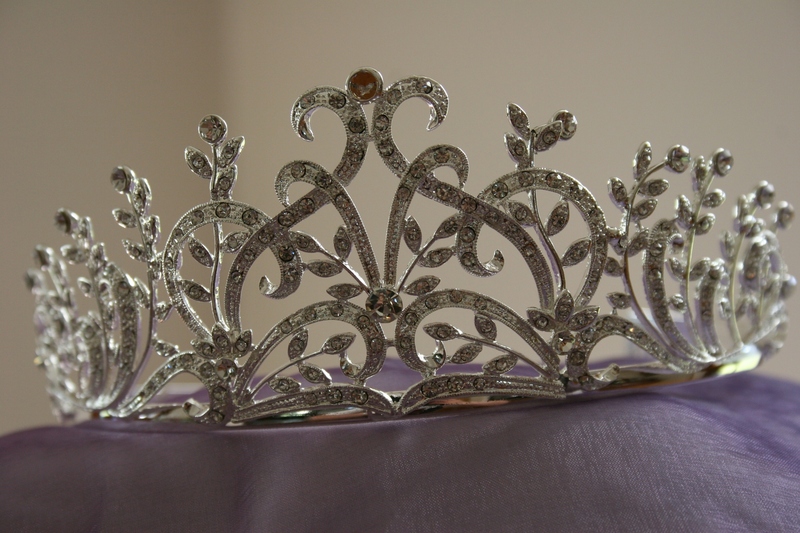 The tiara is unmarked—no bar code, no discount price sticker, no nothing—and there are no other crowns on the shelves. This spells Cinderella-type trouble. I know that upon reaching the cash register, I will have to wait and wait and wait until someone does a price check. If I’m lucky, that someone will not possess the personality of a wicked step sister. “Did you get this in the wedding department?” asks the clipboard-carrying supervisor who has taken her sweet old time responding to the cashier’s call for assistance. “Uh, no, I got it in the bargain aisle. I didn’t know you have a wedding section,” I reply. “Did you know it’s missing a jewel?” she asks, seeming hopeful that I will vanish. “Were there any others back there like this?” she questions. “That’s OK. I’m waiting for my husband,” she smiles. Beside me, my husband fidgets. “Let’s just go,” he states, his voice edged with impatience. He’s not smiling. “No, I really want this. Don’t be so crabby,” I say, foregoing an explanation of why I need this tiara. He’s tired and not in the mood for an explanation. My fear now is that the treasured crown, since it originated in the wedding department, will cost more than I am willing to pay. “Can’t I just have it for a dollar?” I ask the clipboard-carrying supervisor. “I can’t do that,” she glares. OK then, sorry I asked, I think to myself. Eventually, she gives me a price of $3.50. It’s more than I want to pay. But since I’ve made my husband and all those Walmart customers wait, I buy the tiara. Just for good measure, when we arrive home, I place the crown upon my head and wave a slow, lazy princess wave, first with my right arm and then with my left, turning from side to side as if greeting my subjects. “I’m Miss Vesta,” I say, referring to my hometown, site of the upcoming family reunion. “You don’t live in Vesta any more,” my husband notes. He’s right. But for one night, this night, I deserve this moment. I have, after all, overcome so many obstacles to acquire this crown. ONE WEEK AGO TODAY, numerous tornadoes ravaged Minnesota, killing three, destroying hundreds of homes and injuring many. This morning, thankfully, weather conditions are calm with low humidity and no indications that more storms could develop. Even so, we Minnesotans remain unsettled, still reeling from the destruction wreaked upon this land, and upon our psyches, only seven days ago. Memories of such devastation linger for years, if not decades. Just last night, while working on a trivia contest for an upcoming reunion, I am paging through a family history book when I come upon a story written by my Uncle Merlin, the family historian. He writes of an F5 tornado (the most powerful) which decimated the small southwestern Minnesota farming community of Tracy on June 13, 1968, killing nine. At the time, Merlin, his wife and their two young children lived about 20 miles away just outside of Lamberton three towns directly east of Tracy along U.S. Highway 14. Reading my uncle’s story, I feel his anxiety as he rushes his young family to safety, fearing the twister is within miles of his home. Then I flip the page of the history booklet and read of Merlin’s first tornado encounter, on today’s date—June 24—in1953 or 1954. Although only about 10 years old when a twister struck his childhood farm south of Vesta, he clearly remembers the details and that day, his sister Elvira’s wedding anniversary. 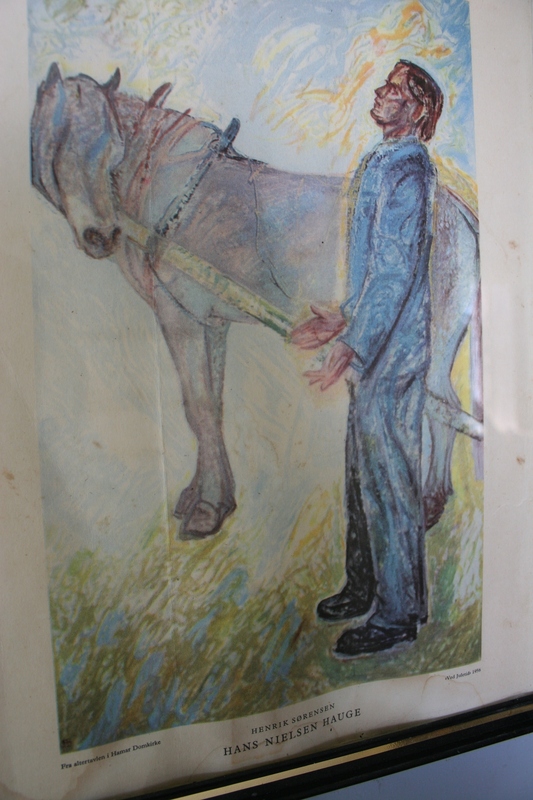 His words draw me in, placing me there in the barn with my grandfather and uncles as they hunker down, struggling against the fierce winds to hold the barn doors in place. The tornado spared the house and farm buildings, but destroyed the stand of trees sheltering the farm site on the flat, open prairie of southwestern Minnesota. Almost three decades later a twister struck nearby, on the farm where I grew up, taking down a silo, tossing wagons about in the field, ripping a railing from the house… Even though I was grown then and no longer living at home, the psychological impact of that storm still remains. I fear tornadoes, a fear imprinted upon me after viewing the devastation wreaked upon Tracy in 1968 and then reinforced all those years later on my home farm. I sometimes dream about tornadoes. Yet, I know my dreams, my feelings, are nothing compared to those Minnesotans who experienced the destructive tornadoes of a week ago. For them, nightmares are reality. IF YOU HAVE A TORNADO story you would like to share, please submit a comment to this post. 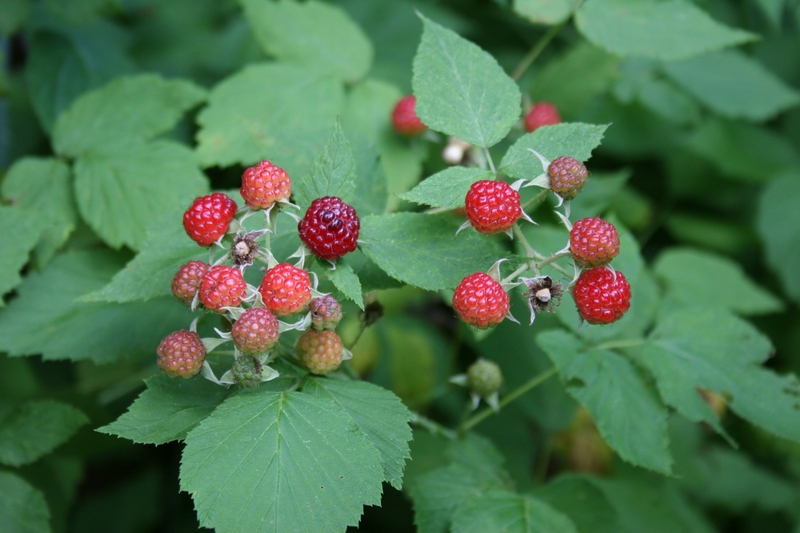 Black raspberries ripen on vines in my Faribault, Minnesota backyard. ALREADY, SPLOTCHES OF PURPLE stain my fingertips. Thorns scratch across my forearms as I ferret for more fruit. My skin itches. Mosquitoes swarm. I pick a hair-thin, squiggling worm from a tiny berry. Yet, I continue to reach and pluck, reach and pluck, occasionally popping a juicy black raspberry into my mouth. As the seeds crunch against my teeth, as the slightly-tart berries burst upon my tongue, I relish this first taste of summer. After a long Minnesota winter, these berries tempt my senses. I admire their deep purple, near-black, color. I caress their daintiness, savor their sweetness. Daily I pick enough berries to fill a small bowl. Soon I’ve filled a small bowl with the wild morsels that grow on thorny vines tumbling out of the woods next to my backyard. Later, I’ll toss handfuls onto romaine lettuce I’ve grown. More go into the blender, combined with ice cream and milk for a deep purple shake that bursts with flavor. I mix other berries with vanilla yogurt, bananas and milk to create a healthy smoothie. But mostly, I grab berries now and then from the bowl that sits on the kitchen counter. Sometimes I wash the raspberries, most often not. 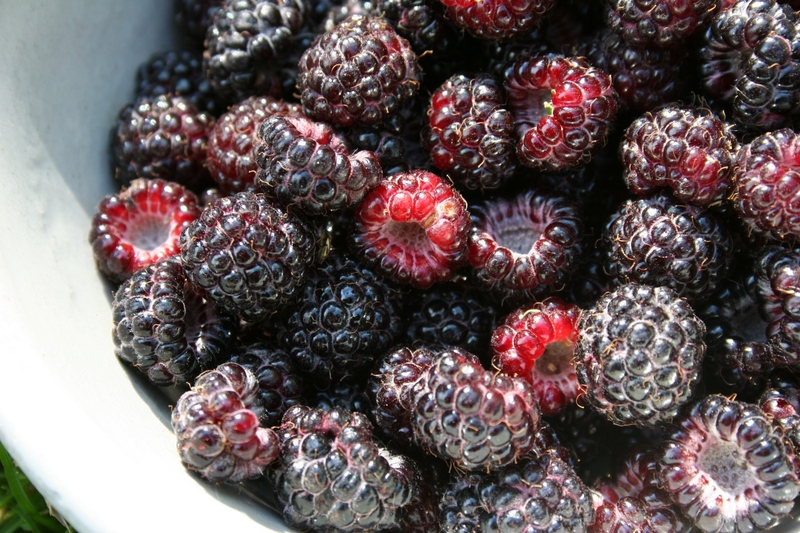 Tomorrow I’ll be back in the berry patch, braving the brambles as I gather this fruit of the earth, these wild black raspberries that taste of sweet summertime in Minnesota. 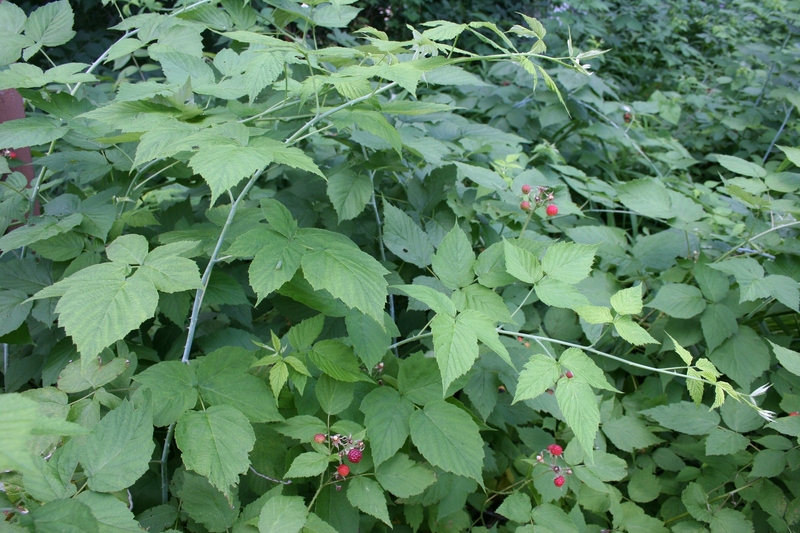 Wild black raspberries have overtaken a corner of my backyard and I'm just fine with that.